You are at:Home»Tips»Gear & Equipment»Best Travel Shirt Idea Ever! This is such an awesome idea … its low tech but makes it possible to communicate in almost any country thanks to the web. 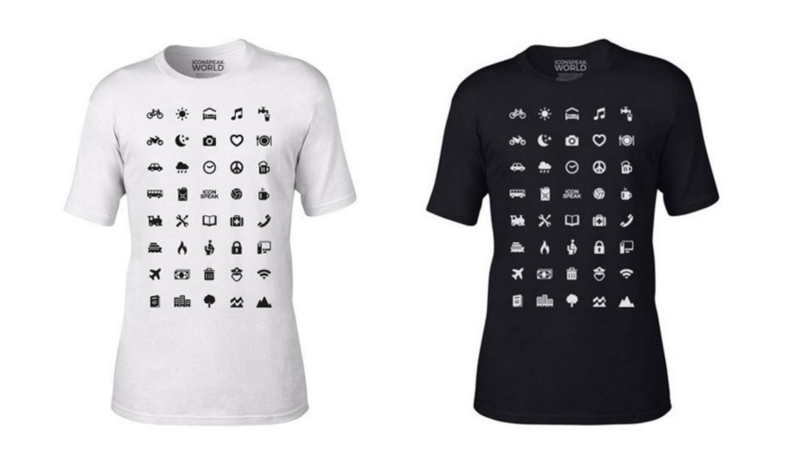 People are so familiar with icons and some classic online symbols that this shirt really works. Just point to the appropriate icon to get your meaning across. Head over to https://iconspeak.world/ to check out colours and sizes!